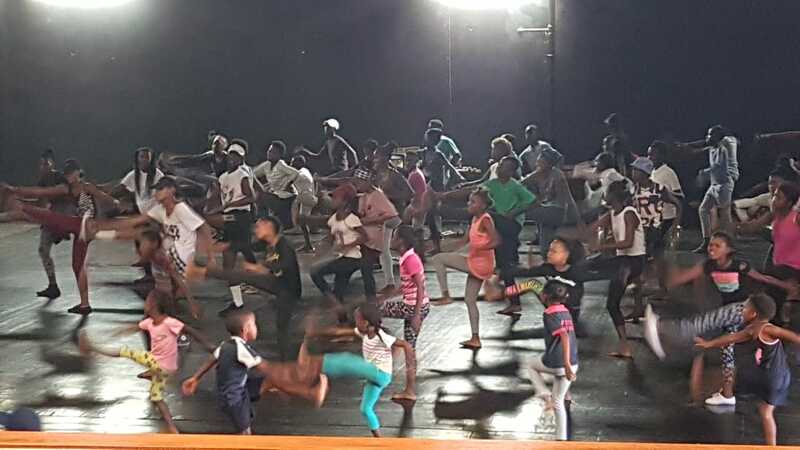 Young cast members of Amandla Danca Teatro rehearsal the musical uMangaliso The Miracle. Theatregoers are set to be captivated by a tear-jerking but equally a performance that will leave many glowing with pride as the young cast of Amandla Danca Teatro ZA (ADT ZA) re-enact the life and times of the iconic Pan Africanist Congress (PAC) founder Robert Mangaliso Sobukwe. The cast of over 60 young teenagers will give an enthralling performance in this musical production, uMangaliso The Miracle, starting this Friday, 14 December at 18h00 and repeating itself same time on Saturday at Kimberley’s Northern Cape Theatre. 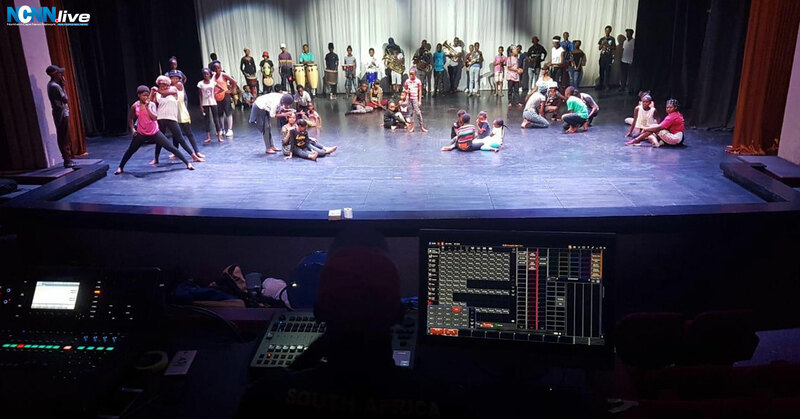 In ensuring that the young get to witness the talents of their peers, the curtains are to be lifted for a special matinee show at 14h00 on Saturday. Entrance is free for all shows set to be accompanied by a pictorial exhibition of Sobukwe in the theatre’s lobby. 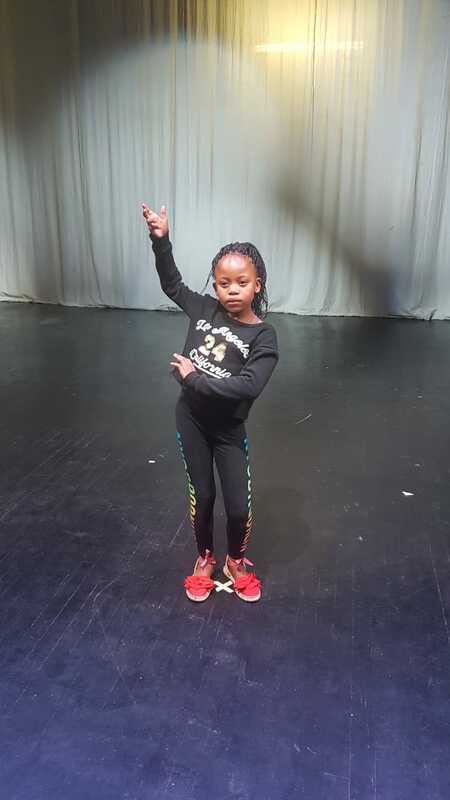 In a beaming case of talent personified, 10 year-old Kelebogile Abrahams is a triple threat – a person in theatre with mixed roles of dance, acting and singing. “The story is about sadness, happiness, there are all kinds of feelings but I love the kind that is about sadness because you feel that pain and agony,” quipped the girl child in giving insights into her roles in depicting the life of a liberation hero. Accompanying the riveting storytelling and dance, the theatre will also reverberate to the sounds of percussion and brass. Some of the youngest instrumentalists are not of school going age but have taken to playing the Djembe and Conga drums with aplomb, whilst the Trombone, French-Horn and Trumpet are also set to get heads tilting. But then what does it take to get an army of youngsters together, hone their skills and enact what could be perceived to the be artistically challenging and instill a love for the theatre? “I am passionate about what I am doing hence I ended up being a dance captain of Disney’s Lion King and I have travelled all over the world. I have had to come back home to give these kids the same that I have experienced in terms of training. Who knows my path might serve to inspire and they could soon come to realise that the arts are not a hobby but a basis to develop yourself academically and otherwise. “I am not alone in this. I have a team that is supporting me such as the co-director Mkhululi Mabija and other experienced professionals who are doing an amazing job,” asserted ADT ZA’s spokesperson Bangiwe Ka Jobela as this writer spotted experienced artist Jackson Shuping helping out. On the downside of it, Ka Jobela decried the “the lack of parental involvement,” from the parents of many of the kids drawn from Galeshewe. 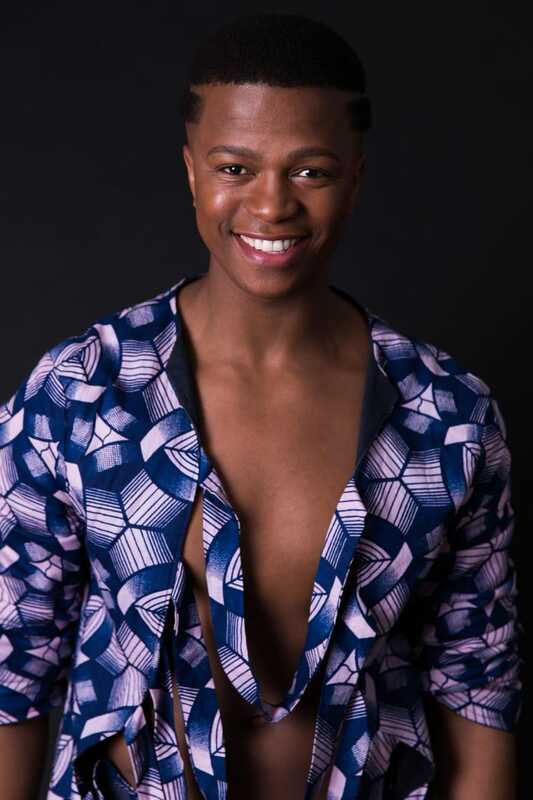 Despite the parental blight, the youngsters have already had a taste of a crowning achievement in having performed at Grahamstown’s National Arts Festival where they clinched a Silver-Standing Ovation for their production – Emathongeni. The Northern Cape Tourism Authority (NCTA) is a sponsor of this weekend’s production. Posture: 10 year-old Kelebogile Abrahams is a triple threat in the musical uMangaliso The Miracle. Amandla Danca Teatro’s Bangiwe Ka Jobela who is famed for Disney’s Lion King production.